The Woolpack01274 809495work Public HouseWith great food and hand-pulled ales, there’ll always be a warm welcome at The Woolpack pub in Esholt. This lovely traditional country pub has to be the most famous ‘working’ pub in the country, as it is the original Emmerdale Woolpack and the only ‘soap’ pub where you can actually get a drink. It has a well-stocked bar and fine cask ales, and a tasty menu with plenty of choices for all appetites and budgets. 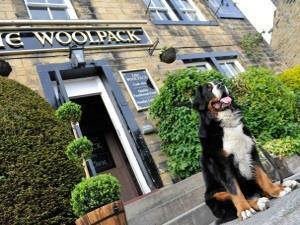 With great food and hand-pulled ales, there’ll always be a warm welcome at The Woolpack pub in Esholt. Classic Car Rally at the Woolpack - every second Wednesday from April to September.